Which noble gas is the heaviest or most dense? Usually, the heaviest noble gas is considered to be radon, but some sources cite xenon or element 118 as the answer. Noble gas elements are mostly inert, so they tend not to form compounds. So, the easiest way to find the answer to which noble gas is the heaviest or most dense is to find the element in the group with the highest atomic weight. If you look at the noble gas element group, the last element and the one with the highest atomic weight is element 118 or ununoctium, but (a) this element has not been officially verified as discovered and (b) this is a man-made element that doesn't exist in nature. Thus, this element is more of a theoretical answer than a practical answer. So, moving up to the next heaviest noble gas, you get radon. Radon does exist in nature and is an extremely dense gas. 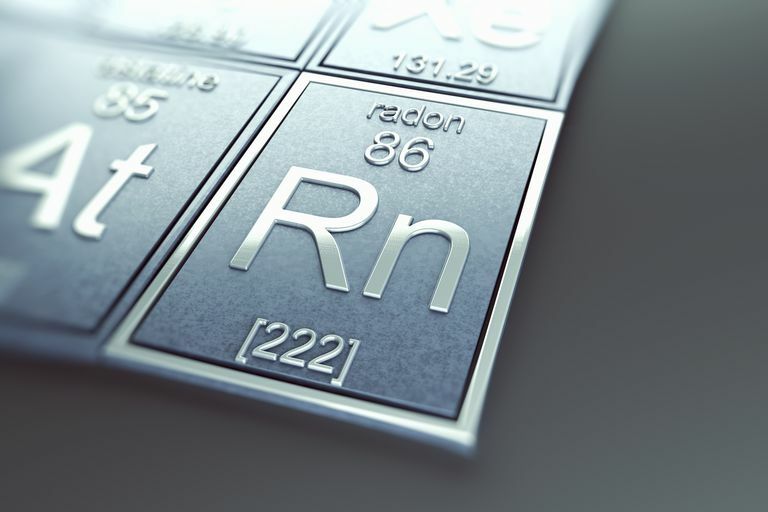 Radon has a density of around 4.4 grams per cubic centimeter. Most sources consider this element to be the heaviest noble gas. The reason xenon might be considered by some people to be the heaviest noble gas is that it can, under certain conditions, form the Xe-Xe chemical bond of Xe2. There is no stated value for the density of this molecule, but it would presumably be heavier than monatomic radon. The divalent molecule is not the natural state of xenon in the Earth's atmosphere or crust, so for all practical purposes, radon is the heaviest gas. Whether Xe2 is found elsewhere in the solar system remains to be seen. The best place to start the search might be Jupiter, which contains a significantly higher amount of xenon than Earth and has much higher gravity and pressure.